Protect against house dust mites, bacteria and odours with the Anti Allergy Cot Pillow Protector from Little Fogarty. The anti-bacterial and anti-fungal properties of the pillow protector will ensure your baby will benefit from a safe, clean and comfortable sleep environment night after night. 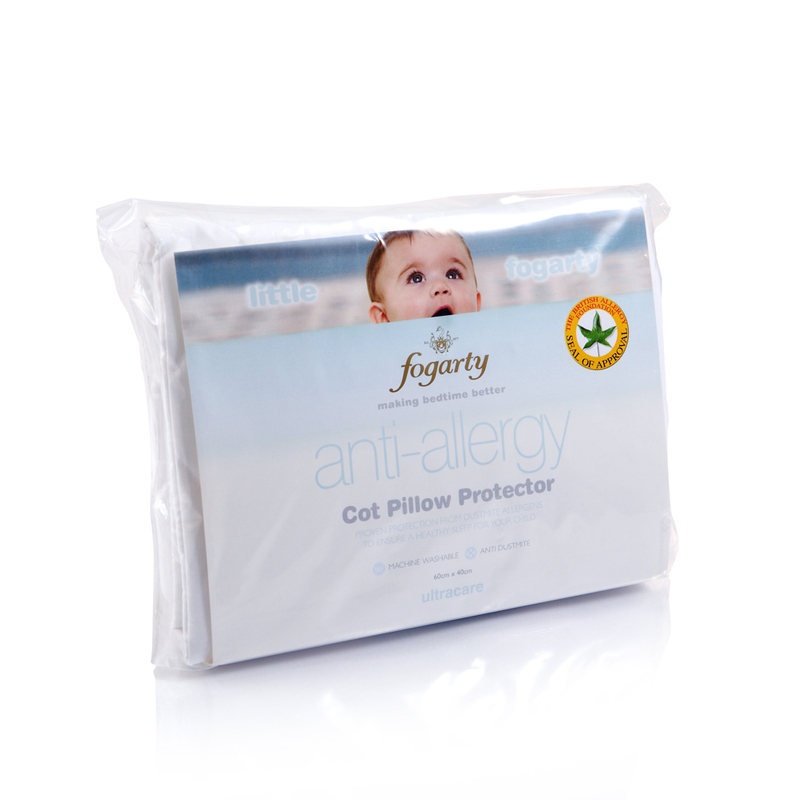 This Anti Allergy Cot Pillow Protector from Little Fogarty, has been clinically proven to be allergy safe and has been endorsed by Allergy UK. 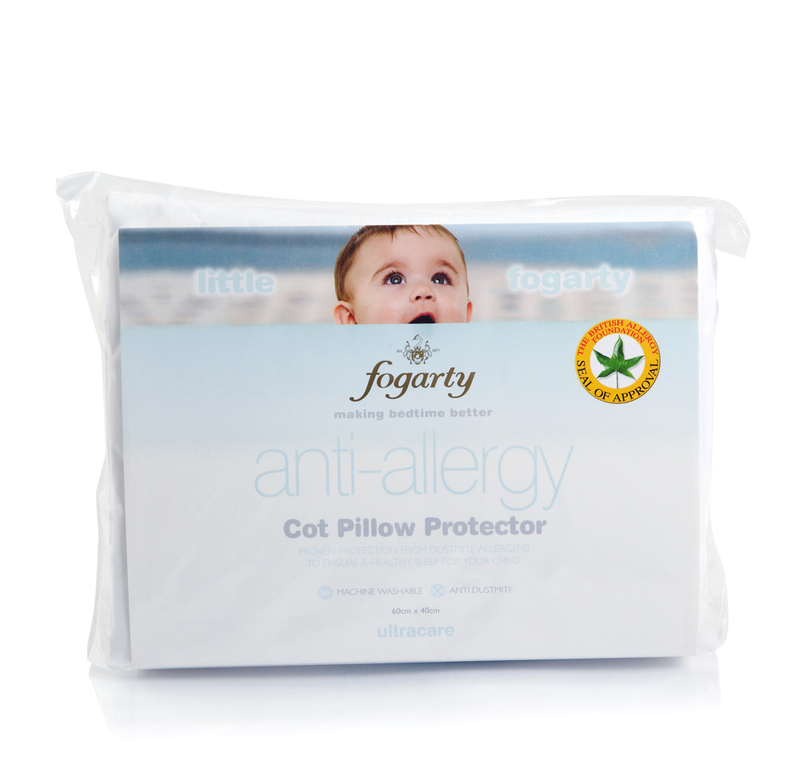 Hollowfibre filling and complete with a soft polycotton cover, this Anti Allergy Cot Pillow Protector is sized to fit the Little Fogarty Anti Allergy Cot Pillow. Take care not to let your baby overheat. Click here to view our full Anti Allergy range. 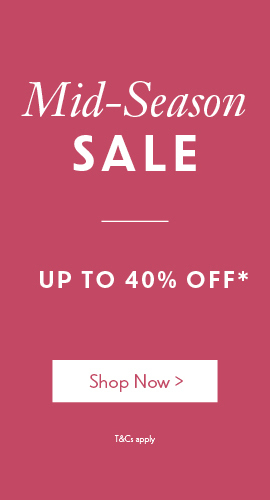 You may also be interested in the Little Fogarty Just Right Wool collection. Like the title says, it's exactly what I wanted, at the best price I could find and free delivery to boot. Arrived in perfect condition within the time stated. Very pleased - recommended. This is a good quality pillow protector for a cot bed pillow. It's nice and soft and washes well and has a little bit of wiggle room to get it on. Very happy customer and child. I really liked this pillow protector. It was so padded that it almost doubled the thickness of the actual cot pillow when it was put on!! Very good quality. 60 degrees is the temperature that kills off Dust Mites and all normal bed linen should be washed regularly at 60 degrees. However, this product has been created to block all dust mites and their waste, mould, spore, pollen, pet dander and bed bugs which means that it can be washed at 40 and still be protected against those. Wash at 40°C without loss of performance.